I really love our morning routine at the moment, mostly because we wake up early and it is already so bright outside. Our house is a little sun trap so we can almost feel the sun on us when we wake up, it is so nice. 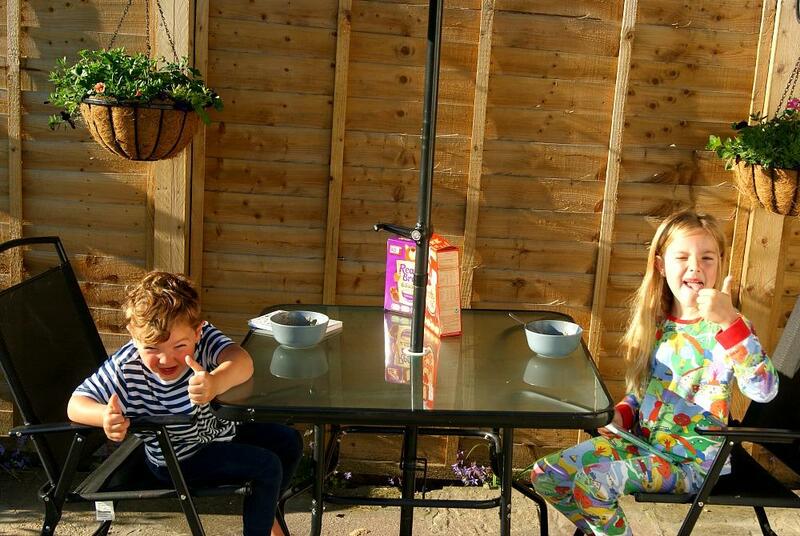 We have been eating our breakfasts outside most days before school and the children absolutely love it. 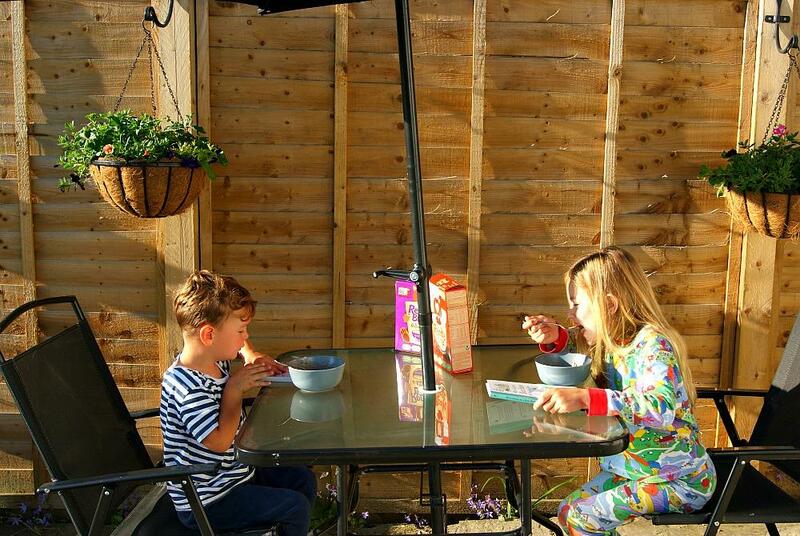 I like to make sure they have both had breakfast before school every morning or I would just worry all day about them, so breakfast in our house is quite important. The children were recently asked to try Ready Brek and I couldn’t pass it up as they absolutely love porridge and Ready Brek is of course a lot smoother so I was quite excited for them to try it and see what they thought. Ready Brek is actually made from finely milled wholegrain oats and flour, vitamins and minerals, with no added salt or sugar. It is packed with Calcium for healthy bones and teeth, Vitamin D for a healthy immune system, Protein for healthy muscles and oats for healthy digestion, along with Iron, Vitamin B1, B6 and B12. I was both surprised and really pleased to find this out and it made me even more excited to get the children to try it as they would be getting so much goodness from it. Ready Brek and Walker Books, “We’re Going on a Bear Hunt” are embarking on a joint adventure. The two bear-loving brands have come together to serve up a nutritious helping of outdoor fun to encourage children to adopt a healthy, balanced lifestyle. Which we thought was fab. My two love playing outdoors and exploring. They love mostly everything to do with the outdoors and are always asking questions. Even questions Daniel and I can’t answer sometimes. I was so pleased to be working with Ready Brek and Walkers Books on this because encouraging my children to eat healthy and enjoy the outdoors is so important to me. Brand new Ready Brek packs which feature the beautiful artwork from the film are now in store. Each pack is complete with an original Bear Hunt Guide on the back, suggesting games and activities showing kids how to go on their very own bear hunt. Packs also include three delicious recipes to collect; Bear Hunt Banana Muffins, Protein-packed Bear Hunt Bites and Bear Hunt Blueberry and Apple Flapjacks. Which Archie has already eyed up and wants to make. 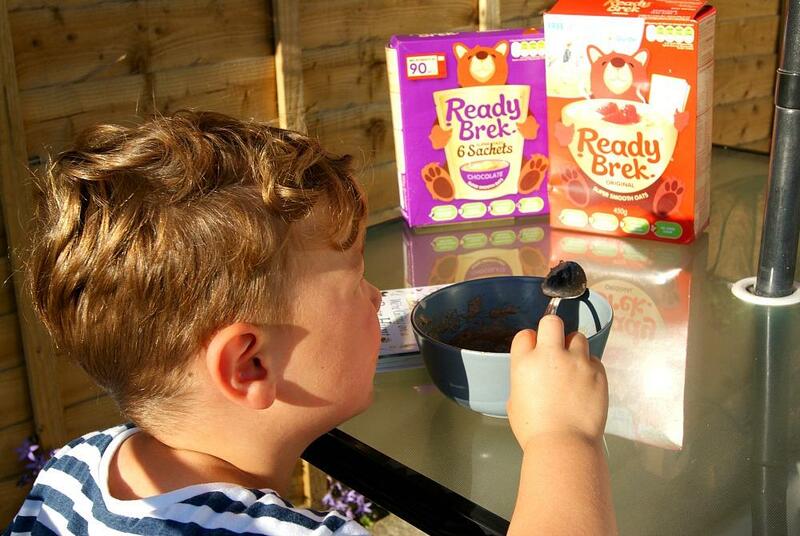 He is so cute, he noticed the pictures of the recipes on the pack of Ready Brek straight away and asked what they were. So we will have to have a go at making those. He is a keen explorer as is his sister. Sophia has already started filling in her book. It really invites the children to be curious about the outdoors, one section we filled out was about hills, and what we would think would live on a hill and what we would see. 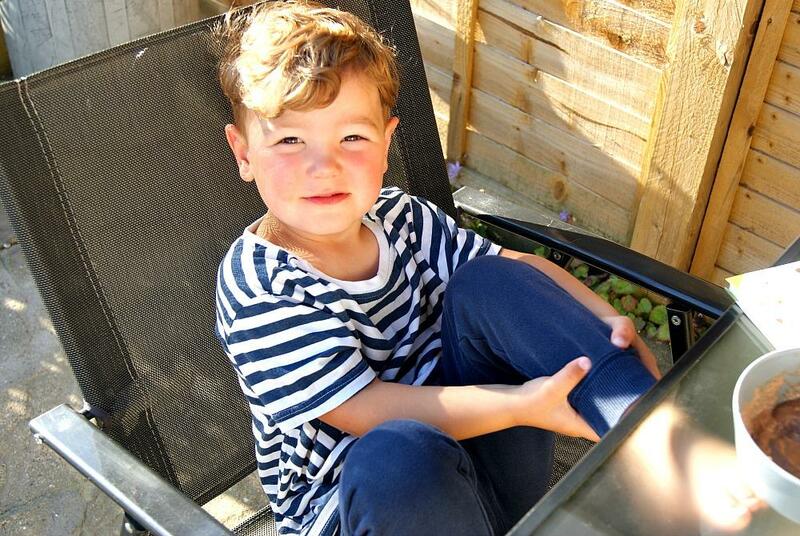 Sophia gave very sensible answers such as flowers and rabbits, but Archie said he might find a shark. That did make us all laugh. Sophia and Archie really enjoyed the Ready Brek Porridge especially the original one. They have both enjoyed being explorers and Sophia is very keen to finish the book. So I am sure we will spend many afternoons after school filling that in and finding out more about the great outdoors around us. 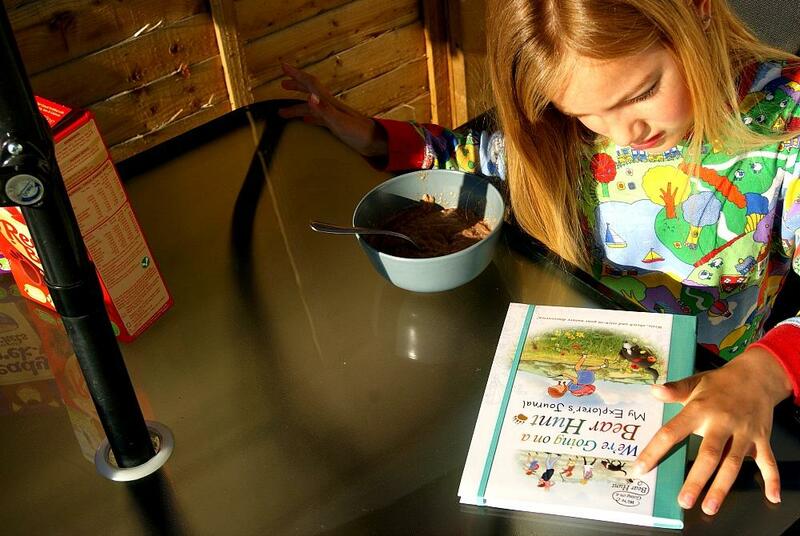 Bear Hunt and ReadyBrek sounds like a win-win collaboration! Lovely to be able to have breakfast outside with this gorgeous weather. What a lovely way to have a breakfast. I’ve never had ready brek before. 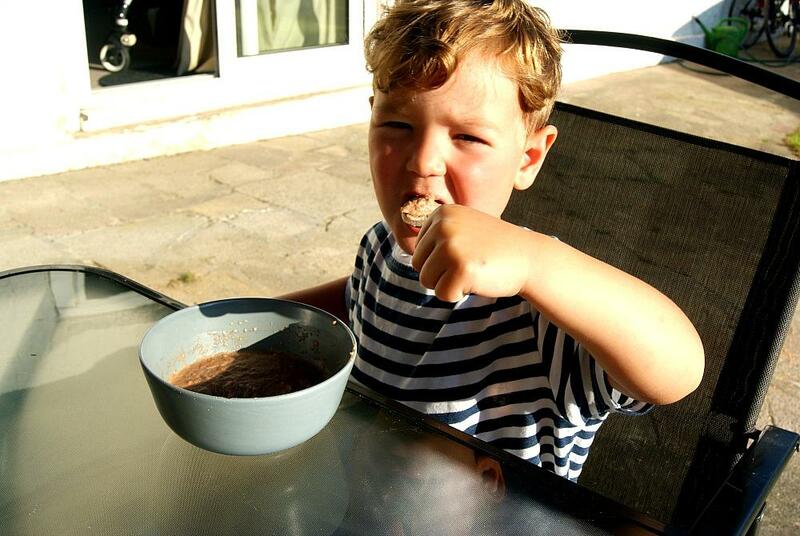 I’d love my kids to eat porridge but they just don’t seem that in to it – maybe I’ll have to give the chocolate one a go. No kid can resist chocolate surely?! 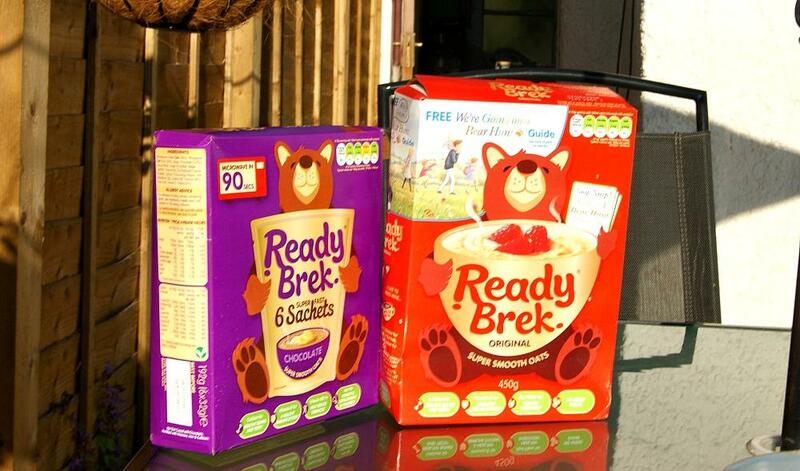 My two kids used to love ready brek when they were small. Must introduce it again.